GraceConnect » Caribbean Vision Ministries Moves to Delray Beach, Fla.
Caribbean Vision Ministries Moves to Delray Beach, Fla. The Caribbean Vision Ministries home office and Chuck and Millie Davis have moved to Delray Beach, Fla., according to a release sent recently to supporters. Delray Beach is just south of West Palm Beach. This will place their center of operations closer to the Haitian ministries in South Florida and the transportation points for reaching all the ministries in the Caribbean Islands. This will also enable them to have a closer relationship with all the churches of the Florida District of Grace Brethren Churches. It also brings the benefit of Chuck and Millie being closer to immediate family members and many long-time friends. If you have attempted to reach Caribbean Vision Ministries since January 9 and encountered difficulties it has been because of this move. 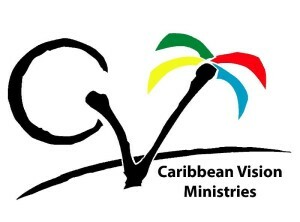 Caribbean Vision Ministries now has a new mailing address and new phone number. The email addresses (CVM plus Chuck and Millie) remain the same. The cell phone numbers for Chuck and Millie remain the same. The CVM website remains the same but with updated communication information. Any PayPal or JustGive donations will remain the same. All donations sent via the Postal Service should be sent to the new address. Caribbean Vision Ministries is a cooperating ministry in the Fellowship of Grace Brethren Churches. It is helping to change lives through starting local churches in the Caribbean, operating Grace Theological Institute in Haiti to train Pastors and leaders, and in taking care of children at House of Hope Orphanage in Haiti.